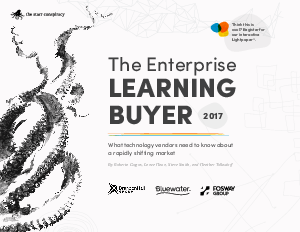 A lot has changed with enterprise learning buyers since The Starr Conspiracy published its previous Learning Buyer Report. For one thing, the role of learning and development has changed with organizations, and organizations need to learn to change with it. For another, learning buyer dissatisfaction is increasing, but the best learning organizations are doing something about it.